For 100 years now, Hobart Corporation has been the world's leading supplier of food equipment and service for the foodservice and food retail industries. Hobart manufactures products for baking, cooking, food preparation, refrigeration, warewashing, and weighing and wrapping. Key products include mixers, slicers, scales, wrapping equipment, refrigeration, ovens and warewashing equipment. The Hobart Corporation USA began with the idea to put an electric motor on a coffee grinder. 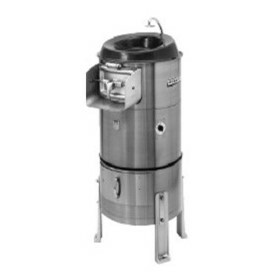 Hobart is the world's leading innovator of food equipment, systems and service. We have been for more than 100 years. And because our expertise spans the entire industry, we know how a piece of equipment fits into your whole operation, not just a small part of it. That's probably why so many customers have so many good things to say about Hobart. And why you will too. Our equipment includes food machines such as mixers and slicers, warewashing equipment and cooking equipment. Our first product? The coffee mill, developed way back in 1897. Hobart Australia is a fully owned subsidiary of the Hobart Corporation and has been operating since 1927, which is a part of Illinois Tool Works (ITW).